We do better training! 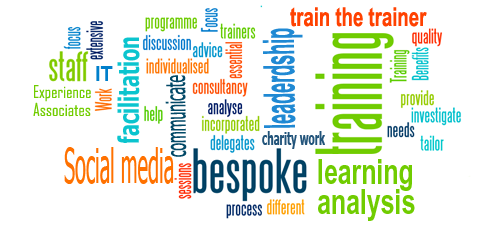 Highly energetic and creative, we tailor all our courses or create bespoke ones to reflect your organisation. This means that participants are really engaged, receptive to change and able to solve practical problems on the day. Following the course, reports consistently show that staff are more productive, more able to solve the challenges they encounter and happier at work, due to our reassuring one to one follow up service. If what you are looking for is not listed contact us, as we are constantly innovating and developing new courses with our subject matter experts. How is learning with us made even more likeable?